I wanted to keep this thread separate from the main Editor thread as I would like to spend some time improving the user interface and ease of use rather than concentrating solely on new features. If anybody has any suggestions about how to improve workflow or if they feel the UI does not make the most of their screen resolution then do let me know. The challenge I have is that I have only a 15" laptop screen and whilst I have a 4K resolution, I have to keep the scaling pretty high in order to be able to read the text - so I'm testing at a scaled resolution equivalent to 1280 x 720. 2. 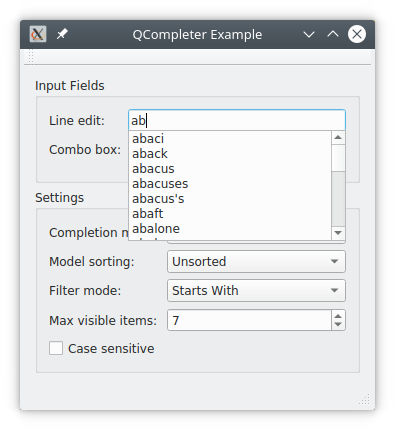 The drop-down menus could allow for auto-completed options similar to the above. Certain drop-downs should be ordered more logically rather than alphabetically - e.g. day/month drop-downs should be ordered chronologically rather than alphabetically. (i) I think the "Number of Dates" setting on the Stages screen could be automatically set and therefore read-only. AFAIK this figure should always just be the number of Schedule Dates. (ii) Schedule Dates: We need an option to auto-generate a list of dates based on a chosen range. (iii) Schedule Dates: I think we need the option to auto-correct the dates so that they match the chosen day of the week. Every year we release a new season's update, all of the dates will mismatch the day of the year. E.g. the first Saturday of September last year was 1 September whereas this year it will be 7 September. (iv) What I really want to create is a new league wizard. So you just choose the basic parameters and the Editor will then create the correct settings/stages for you. I think the Total Number of Stages setting on the Basic Data tab of the Rules & Structure screen could also be auto-set seeing as this should always reflect the number of stages in the league. xECK29x wrote: This error is much different from a crash to desktop though, we have an understanding of this issue and it was fairly easy to fix because we have something to work off of. True but it seems it is blind luck as to whether EHM shows an error or crashes. There are plenty of scheduling issues which cause a crash to desktop. 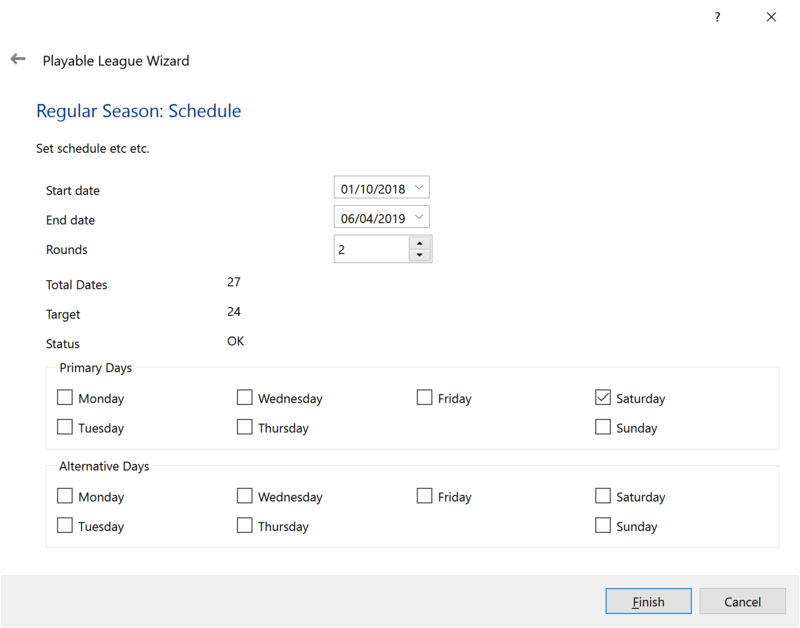 For example, if you accidentally forget to set the year offset for a schedule date then you typically get a crash to desktop around mid-season. The error messages all require coding from Riz. So he has to be able to foresee every possible potential issue in order to write something to sanity-check for an issue and display an error. Given how complex the structures are and the countless ways in which something could be set rightly or wrongly, I cannot imagine it being feasible to pre-programme an error for every permutation. For myself what I find clunky/awkward is having to attempt the task without a guide of some sort. I too think there are very few people "who actually understand how to create a functional league and whats involved in that" (I wish there was a guide...even just having documented what each box on the Rules & Structures screens means/is for would help). xECK29x wrote: I think it's tough to gauge feedback wise because as you said, the league structures are so complex and as far as I know, there isn't any "noob friendly" documentation or wiki entries for creating a league and whats involved, for me it's been a lot of trial and error and because of that I don't really know what I want . Also there are very few people who actually understand how to create a functional league and whats involved in that, I just mostly copy whats in BKs or TBLs DBs. I think we need to get together more as creators and maintainers of these DBs and standardize a bit, if we know something works everyone use and stick to it when it comes to these league structures. Maybe it's just me and the fact I get really discouraged when I run into these issues. I started a guide HERE but, other than Nino, there was zero interest/feedback and so I put it to the bottom of my list to finish. I also made a guide on how to swap teams HERE. I'd love to be able to write more guides but finding the time is the issue. There's still so much I want to add to the Editor and I have such limited time these days. It's a shame that there aren't more people who know how to edit the structures so that they could make a start on a guide(s). I feel like it's inevitably going to fall on me to do so, which means a long wait. I totally agree about standardising things. We almost need a flowchart/decision tree to show how to do things depending on what set up you want. 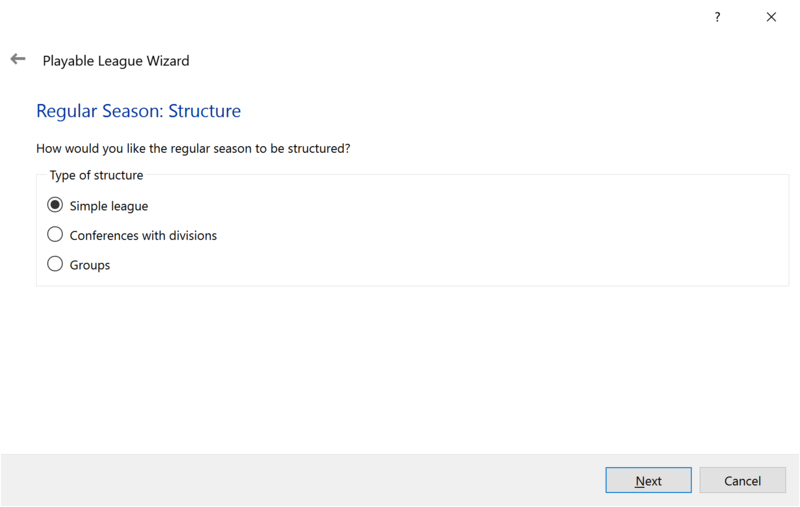 This brings me on to the Playable Leagues Wizard I have been working on for the next release of the Editor. I haven't mentioned it to date because I don't want to over-promise/under-deliver or for people to get too excited about it at this stage. It has been a really big task and it does relatively little so far. I have also added a Schedule Template generator which can build simple schedules or complex North American-style schedules. Again, it is really early stages and the schedules are very very rough. Another generator I am adding is a Schedule Dates generator. 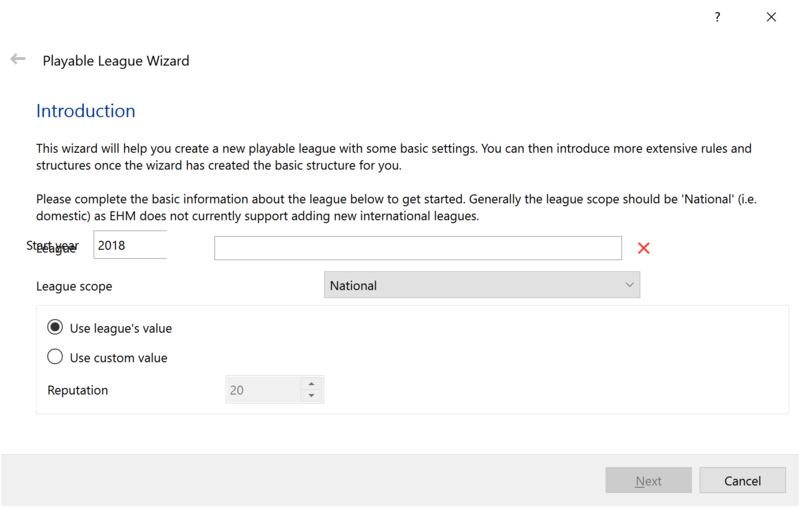 This is already present in the Playable Leagues Wizard but I'm also adding it to every League Rules & Structure screen so that you can use it for existing playable leagues. It's such a pain adding Schedule Dates to a league at present but hopefully the generator will make things far quicker and easier. I really don't know how advanced any of the above will be for the upcoming Editor release as it is heaps of work and by the most complex part of the Editor to date. But hopefully over time, I'll be able to expand and refine these. Another way in which I think things could be made simpler is to categorise the various settings on the existing Rules & Structures screen. I wrote that part of the Editor without knowing how all of the settings worked as I cannot test them until they are editable. Maybe the items on the different tabs, etc could be rearranged to make things more understandable. As a general comment, I think the Editor needs to better accommodate larger screen sizes. I only have a 15" laptop, meaning that I have had to design the user interface for a small screen. I think instead of having individual tabbed screens, they could all be displayed on the same screen with a scrollbar to scroll between them. The tab buttons would still remain and clicking on them would auto-scroll to that section of the screen. It's interesting to see how SI has designed the FM Editor: https://youtu.be/ucfQdtnhGzE?t=347 Would this be a better design/workflow for the EHM Editor? Smirnov2Chistov wrote: With the original rosters of 2015/2016. The Rosters only have 2 Swedish Leagues in them (I think HockeyEttan is considered Third Tier?). Would it be wiser to remove the ‘Ettan league entirely? Or to push the season earlier or farther? I think the Swedish leagues are pretty popular and so I think it would be a shame to remove. Pushing the schedule further apart would work but it is presently a time-consuming task (subject to the improvements to the Editor I mention above). In any event, I believe the issue is fixed now. Smirnov2Chistov wrote: Forgive me for being naive, but could there be a programming way where certain leagues had a ‘hard’ date to start and end? That way there would not be a scheduling conflict down the road (ala HockeyEttan, Allsvenskan) or would that be a complete pain to take ahold of? Yes you can. The downside is that there is no adjustment to the ensure the games play on the same day of the week each year. E.g. some leagues always start on a Saturday/Sunday. Smirnov2Chistov wrote: Again, don’t mean to be naive, but wouldn’t it be like creating a custom league for something like Football Manager? Or does FM ≠ EHM with scheduling and everything? Yes I think it is very similar. The key difference is that FM benefits from a highly advanced/polished editor developed by SI whereas the EHM community has to rely on the third-party editor I develop in my spare time. I've been working on the Editor for four years now - progress has been slow. I'm interested to see the official EHM editor which is included with the v1.5 patch. I might have to fire up the FM 2018 Editor and see how that tackles playable league editing. Perhaps that will give me some ideas/inspiration. FYI the links don't work above (they do on HFBoards). Maybe sticky the "GUIDE: Editing league rules and structures in EHM 1" thread? That wizard is going to be a huge help for me personally! The wizard is coming along but very slowly owing to the complexity involved and the large amount of behind the scenes work required. I expect that the initial wizard will only create simple leagues (i.e. with zero conferences/divisions) with a simple playoff tournament structure (i.e. no initial playoff group stage, playouts, etc). It is going to take a few months' work before it will be able to add the more complex types of structure. I am also trying to figure out how to make the Rules & Structures screen more accessible but without much luck. We currently have five tabs (e.g. Basic Data, Flags, etc) plus the four tabs which make up the Stages tab (e.g. Structure, Schedule Dates, etc) - so nine tabs in total. I think these tabs need to be merged into a small number of tabs but there is obviously a limit to what I can cram on to a single screen. It seems that the Football Manager editor gets around this by using smaller text but I find that difficult to read. I think I can generate some more space by using the small menu/toolbar size as a reference when I'm designing the screens (I do only have a 15" screen after all) and removing the blank space below the title text which appears on some screens such as the Rules & Structure screen. The Flags and Match Rules screens could do with a tidy up too. I think the current tables look a bit messy. And then there's the Round Rules and Match Rules when editing Schedule Dates for a playoff/tournament stage - showing numbers is not really user friendly. Unfortunately it's looking unlikely that I will be able to include the playable leagues wizard in the upcoming release of the Editor. There is some significant re-writing of the editing screens and underlying data required in order to get things working as well as I would like. Each entry in the Rules & Structures table consists of a number of sub-tables of varying sizes and they currently cannot "talk" to one another as it wasn't necessary in order to create the Editor screens. However, they do need to communicate in order to allow the wizard to correctly bring things together - e.g. the Schedule Dates wizard needs to know how many teams there are in order to know how many rounds of playoffs to generate. So I need to redesign things to allow everything to be properly aligned/linked up. There's still the possibility I might be able to get something into this release but I don't want to hold up an April Editor release as there are various other requested features and bug fixes I want to get out.